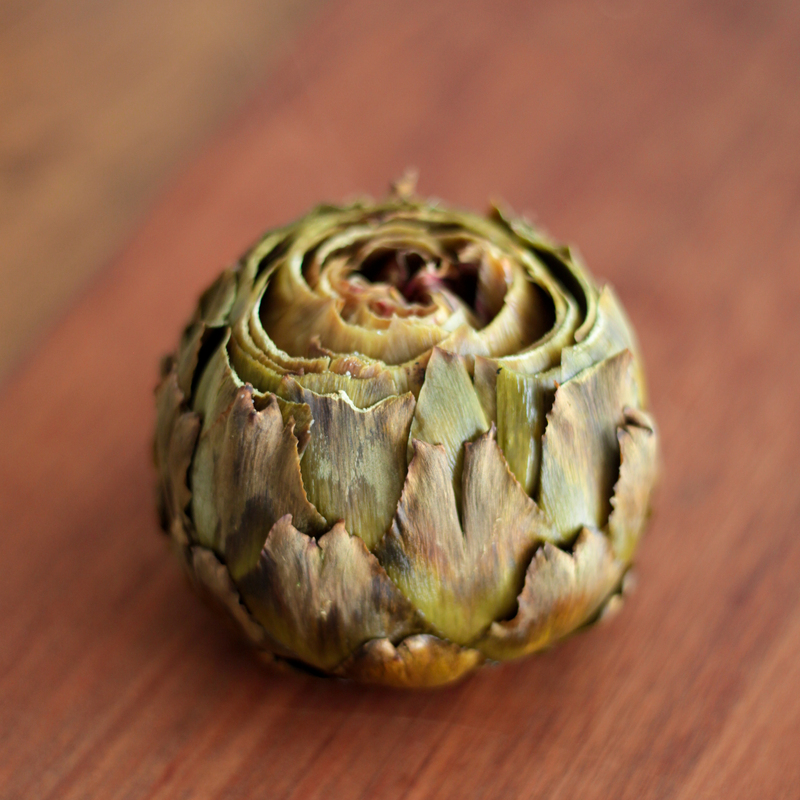 I wish I could eat artichokes every single day! I had it for the first time at J. Alexander’s. I must say, not a bad place to have it. It was amazing. I don’t know how I had never tried it before. I knew I had to make it myself. I knew they roasted it but that was it. I had to figure everything else out myself. Boy am I thankful for YouTube. I found a few videos showing how to cook it and how to eat it. And now I share the wealth. Preheat oven to 425˚. 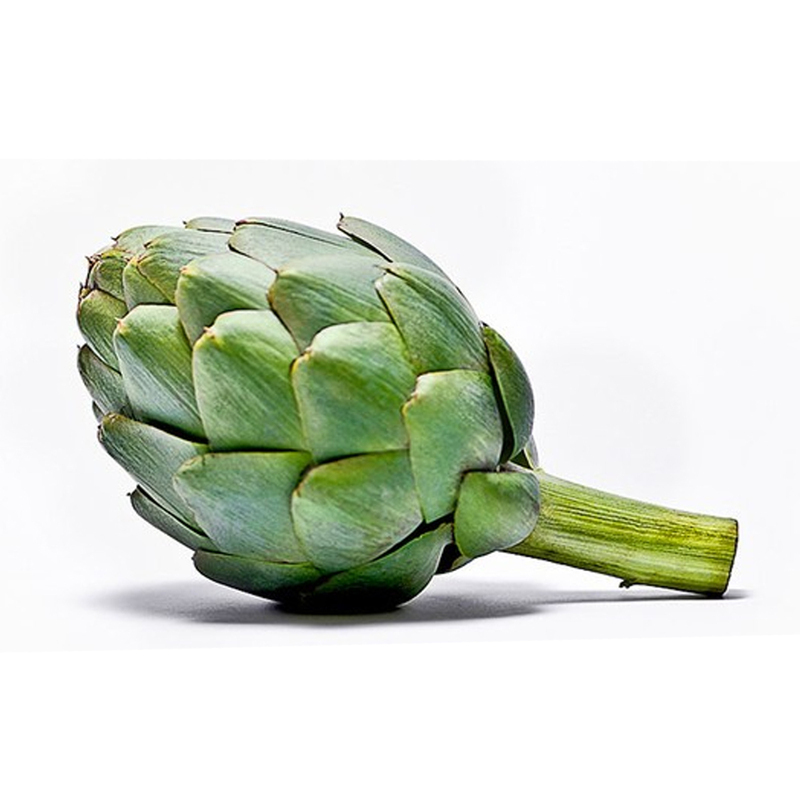 Cut off top of artichoke and most of the stem. Rub lemon or lime on it to keep it from browning. Loosen the petals on top and drizzle the lemon juice and olive oil on the inside. Add clove(s) of garlic directly in the middle. Sprinkle salt to cover. The inside is the important part. Don’t worry about the outer petals. Season the inside as much as you can. If you think it looks a bit dry, add a little more olive oil. 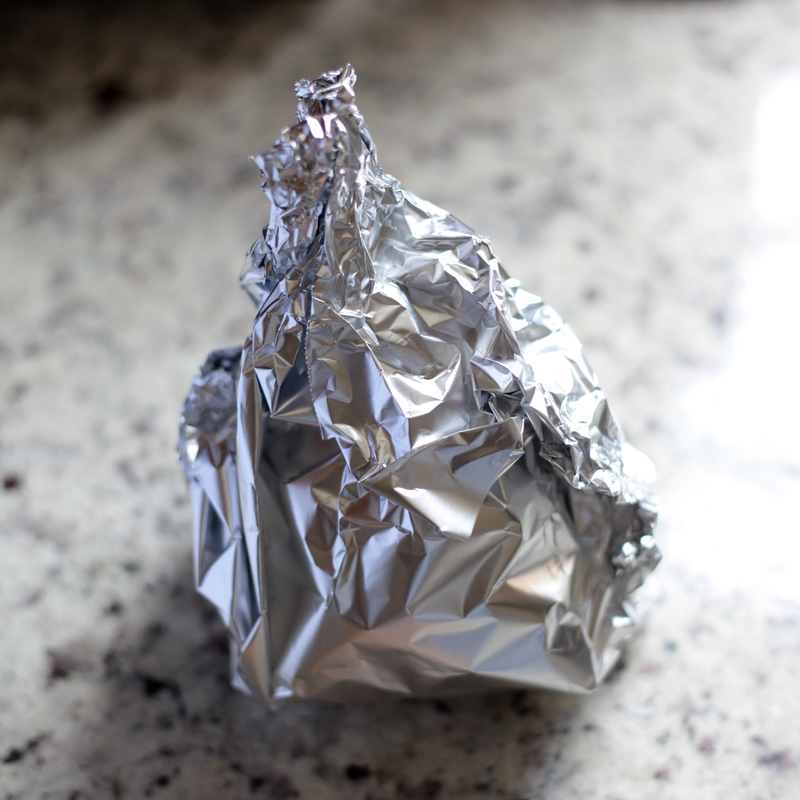 Wrap it in heavy duty aluminum foil. 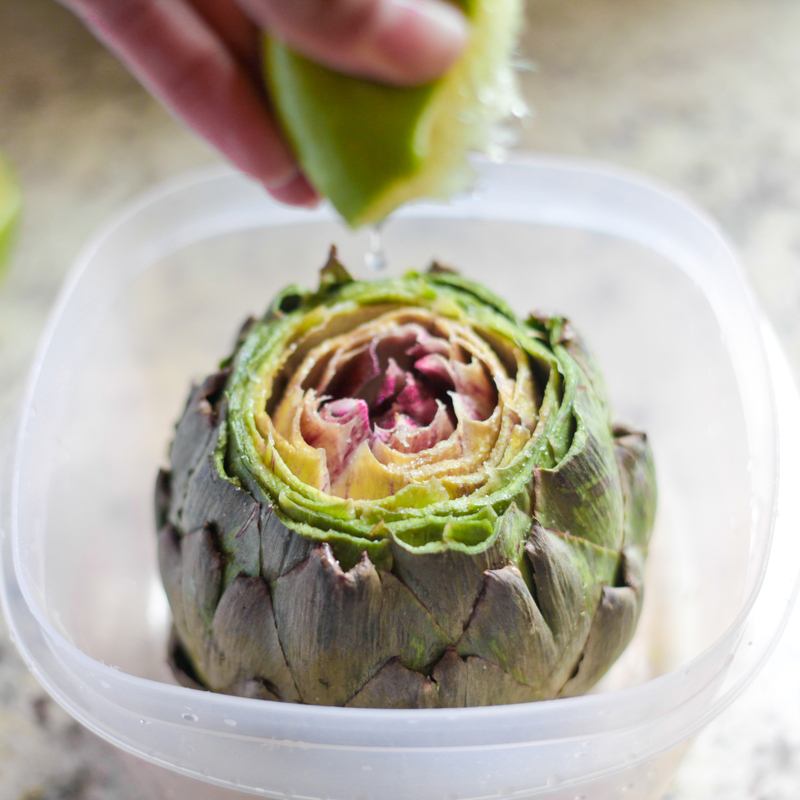 Use heavy duty or the thorns might poke holes through foil leaving you with dry artichoke and you will have a serious mess to clean. Place on top rack in the oven. Wait 1.5 hours. The time is very important. Take it out too early and it tastes like soap and it’s hard. After 1.5 hours, open the aluminum foil and petals should pull off easily. Scrape the bottom of the petal with your teeth. Discard the top part of the petal. I like to eat it with hummus or with lime and salt. The best part is after you eat through all the petals. 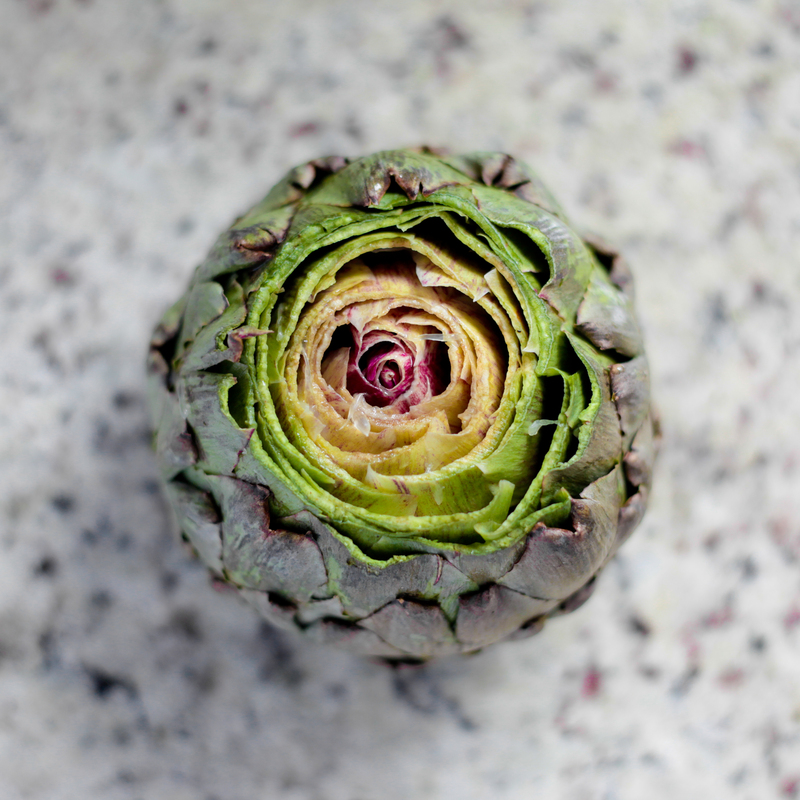 There is this secret little artichoke heart covered by a hairy, spiny flower-like thing. You remove the hairy part and you have more of the artichoke. I think I have to make a video of this. The instructions seem a bit difficult. I hope you go it. Stay tuned for video update.